Kymeta has announced that its Government Solutions division has been awarded two grants via the NASA SBIR (Small Business Innovation Research) program to develop very small, space-based, very low size, weight and power (SWaP) flat panel Ka-band terminals for CubeSats and other Low Earth Orbit (LEO) satellites. These grants will allow Kymeta Government Solutions (KGS) to supply NASA with their proprietary metamaterials-based low SWaP flat panel solutions for satellite-to-satellite and satellite-to-ground/ground-to-satellite communications, starting with CubeSats, which are about the size of a loaf of bread. Organizations receiving SBIR grants are required to develop solutions with practical significance that have both commercial and non-commercial applications. They also must provide the potential to fulfill NASA needs. 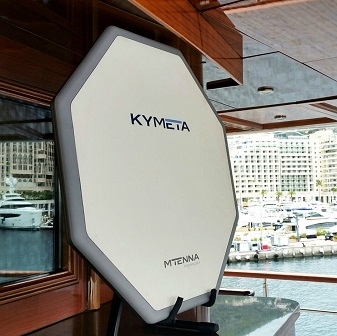 Kymeta’s CubeSat antenna has the potential to completely change LEO satellite communications. Kymeta’s announcement comes days after the grand finale of the Cassini Mission, noted for its ground-breaking discoveries using 20th century technology.